Welcome to our tiling company! ​We are a team of trustworthy and loyal Winnipeg tile installers who specialize in tile installations and tile repairs. We make innovative use of all styles of tile on practically every surface in your home, not only because it has beautiful results, but also because, when it is installed properly and by true professionals, it is durable and easy to maintain for you as the consumer. The wide variety of colors, textures, materials, and sizes make it possible to create unique tile designs at different price points that best suits your needs. ​We are Winnipeg tile contractors who strive to make a long-standing reputation for creative and durable designs for building contractors and homeowners. 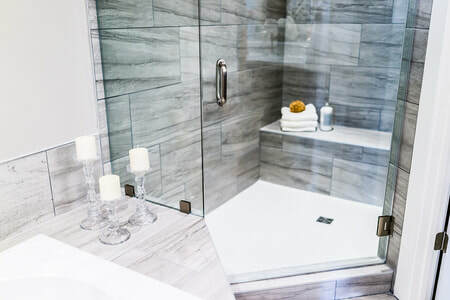 With services like tiling a floor, ripping apart your old shower and installing tile brand new, refinishing a wall, and even tiling over tile, we provide just about every tile service and need that exists. There are many different Winnipeg tile installers and contractors to chose from, but we guarantee that you will receive the kind of quality service you expect from a leader in their respective field of business when you partner with us. 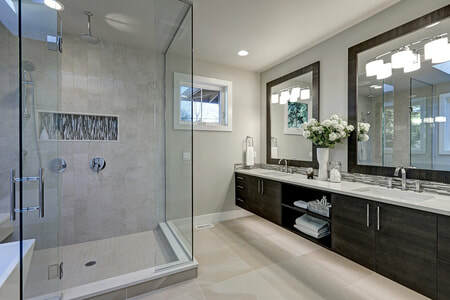 If you are someone searching for great quality tile in Manitoba, you can be assured that while working with us, you will enjoy and be satisfied with the latest services, developments, and ever growing technology in the industry. ​What ever it is that you need, whether it be brand new floors, enclosures, or beautiful and elegant new kitchen backsplash tile Winnipeg home owners have always wanted, we have it for you. We excel in tile installations and repairs that produce wonder and excitement for your home or residential interior with that classy or modern look and feel you’ve been dreaming about for so long. We make it our responsibility to get to know you personally. We work closely with you to fully ensure that every solution we provide is tailored to your needs and wishes. Our highest priority is that your experience working with us ends nothing short of full and complete satisfaction and content with the finished product. As our client, you are important to our team and it is our job to go to great lengths, above and beyond, to give you what you need. We believe that superior customer service results in superior results and solid relationships. Winnipeg has many tiling installers and contractors to choose from, but at our company it is our mandate to carry ourselves and our work with pride. We will work with you to provide creative design options and technical solutions that meet your budget. We will work with you from the very beginning of the planning stages of an installation to refinishes or repairs that follow after wards. Information, details, and instructions will be given for any and all finished product. You, as our customer, can expect excellent quality in materials and workmanship, fair prices and costs, and of course, unwavering customer service and attention from day one, as well as any technical advice or direction you may need. 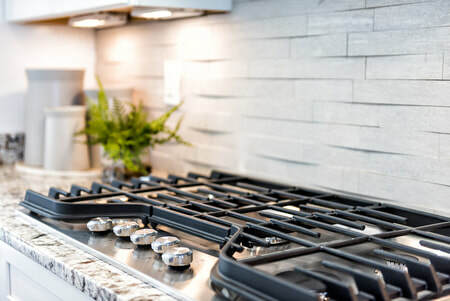 Whether its a simple kitchen back splash or an intricate fireplace, you can count on Tile Winnipeg to deliver great designs and creative minds to help piece together your vision. 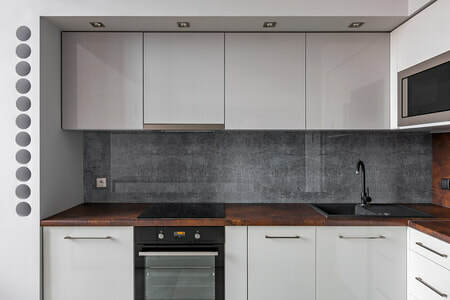 We have on hand numerous styles of cheap back splash tiles Winnipeg kitchen lovers will appreciate and we have the experience to provide you with expedient and professional service that meet your specified requirements. ​Quality tiling needs don’t just happen in a house and Winnipeg tile repair and renovation contractors can be fairly busy through out the year. Commercial properties and businesses need our services just as much. We understand that in some cases, excellent tile work is the finishing touch to many commercial areas such as offices, hotels, and malls just to name a few. Not only do you as the business owner or the employee walk on and see the floors everyday, but so do the business clients, guests, or visitors. Sometimes what your floor looks like says a lot about your business or place of work. Our commercial work is done with precision and is meant to leave you, as the consumer, satisfied. Sometimes you just wanting to add that final touch when it comes to your home improvement or residential project. We deliver just what you need. With our unique custom tile designs, our vast selection of patterns, colors, and styles are all on the table for you to pick and choose to your liking. Our services consist of everything you might be looking for regarding backsplash tile ideas. We help design and install the highest quality custom tile Winnipeg homes, kitchens, showers & floors will ever display. ​Curious about just which types of services we cover? 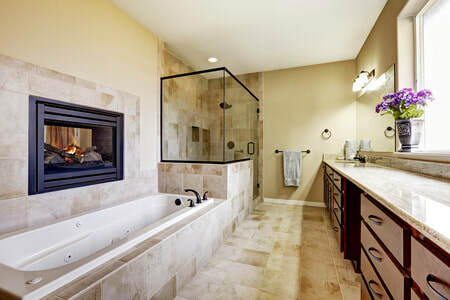 Well, our services cover areas that include everything from tile refinishing, re-grouting, shower tiles, tile flooring, tile fireplaces, and cheap but great quality back splash tile installation. 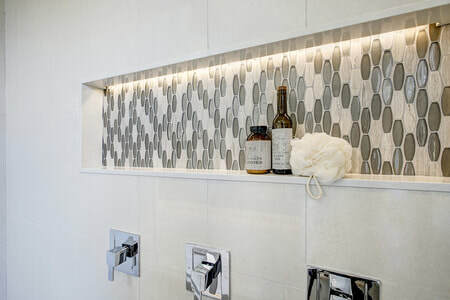 With back splashes being such a common and excellent addition to your home, we offer extensive knowledge and different tile ideas for your kitchen backsplash. Porcelain, granite, marble, ceramic, or travertine are several of our tile options available to you. We use various trusted suppliers that provide unquestionable quality product materials. We offer only the highest quality installation of beautiful kitchen backsplash tile Winnipeg home's can show off for years to come. Our process is very particular and detailed to ensure proper placement of each tile. We want to make your kitchen shine with beauty. A process that involves the use of specialized pieces of equipment, top coats, primers, and bonding agents. The removal of preexisting grout followed by the installation of brand new grout. Repairs, gutting, or removal of old flooring followed by the installation of new tile. 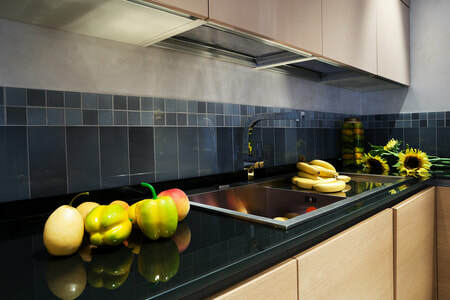 Kitchen backsplash tile Installation of paneling behind the sink or stove to protect the wall from splashes. Fireplace backsplash tile Installation of the surrounding tile of the fireplace. 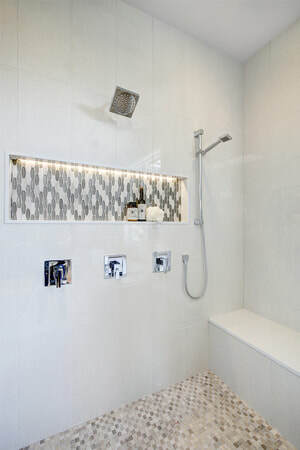 Removal, repairs, or shower tile installation of tile flooring or walls of the shower. Removal, repairs, or installation of wall tile for all interior rooms of the house or residential property. Removal, repairs, or tile floor installation of interior tile flooring. Laying new tile over top of existing tile. We have highly trained and motivated team members who are willing and ready to make your place shine. As a team, we are trained to do things with excellence and perfection. The services we offer are done by the hands of qualified individuals who value their work just as much as you value the outcome of their workmanship. These services listed above are expanded on and explained in further detail on our services page. Whatever service you think that you need, residential or commercial, you can check that service out on our service page and get a small glimpse into what goes into it. If you're ready to hire Tile Winnipeg for your custom tile & backsplash renovation project, simply click the call button below and we'll get started!